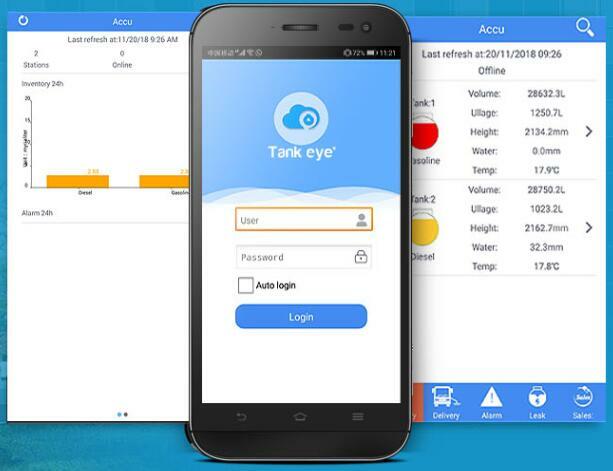 Recently, ACCU launched the brand new application Tank Eye. Based on the cloud data and user-friendly interface, the new Tank Eye not only realize the wet stock management, also integrated leak detection system, including the tank leakage, pipeline leakage, manhole sump leakage, dispenser pan leakage , which can provide all sides protection of your stations. The new version Tank Eye will continue being your good assistant to provide efficient management and operation for your business.